Banking and digital video: a winning strategy? As part of Mapa’s analysis of the digital banking landscape, we often come across videos that have been launched for promotional or educational purposes, and deployed across sites and social channels. It’s predicted that 75% of mobile traffic will be video by 2020. It makes sense for brands to make use of this medium to attract, reassure, inform and retain customers, as well as establish their brand identity in a clear and visual format. Videos are a fantastic element within a content marketing strategy, because they are easy to digest, favoured by search engine algorithms, and tend to be retweeted more on Twitter. Improvements in smartphone data allowances means there are no longer so many issues around consuming and sharing all forms of rich media online. Moreover, they can make businesses appear more trustworthy in the eyes of consumers – when done with minimal branding and an authentic tone. Of course, while desktop and mobile video consumption is on the increase, so is the amount of content out there. 7 trillion video clips will be uploaded in 2020, according to the Cisco report, which represents 2.5 clips per person per day. It’s no longer about whether to ‘do video’ so much as how to make your video the one that people will watch until the end – and act on. Nationwide’s new marketing strategy sees it trying to stand out against the competition using spoken word artists performing in a series of videos. 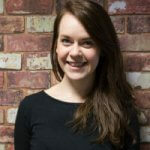 Little Things – A Poem By Hollie McNish was in the top ten adverts on YouTube, according to Marketing Week, and their CMO thinks this is part of what makes them winners. ‘In the campaign, we wanted to portray our roots of being a building society and the power of the collective. The ad has no music, no razzmatazz, it’s shot in a simple and raw way. It’s very different from what we’ve done before and from our competitors,’ said Sarah Bennison, newly appointed CMO at Nationwide. Meanwhile, America’s largest bank JPMorgan Chase has gone down the ‘influencer’ route, enlisting the help of the internet-famous Holderness family to create some how-to guides for its website and YouTube channel. One fact that many brands (across all industries) regularly forget is this: digital video isn’t the same as a TV ad – the audience, content, length and technical execution will likely be different. Chase has cleverly had these videos made primarily for a digital audience, promoting online banking and the Chase mobile app, with a call-to-action to visit the website for more information. The trend for using video across FAQs is well known – almost every UK bank we monitor has a plethora of videos on their public site and even within secure areas to help their customers not only perform banking activities but understand wider topics like saving, doing home improvements and making wise spending choices. This ties in with the school of thought that marketing should put customers at the centre, solving their problems and performing a useful function. It also reflects the rulings handed down by the CMA recently, establishing that the world sees banks as a social necessity and good, not just a business there to generate profit. With some banks already on their next phase of digital video evolution – using live video chat as a customer support channel or account servicing option – we expect this customer-centric approach to video production to continue. All of Mapa’s Digital Banking Dashboards monitor what banks are doing in terms of online marketing. If you’d like to see what’s trending in financial services, contact us for a free consultation, or subscribe to our monthly newsletter.